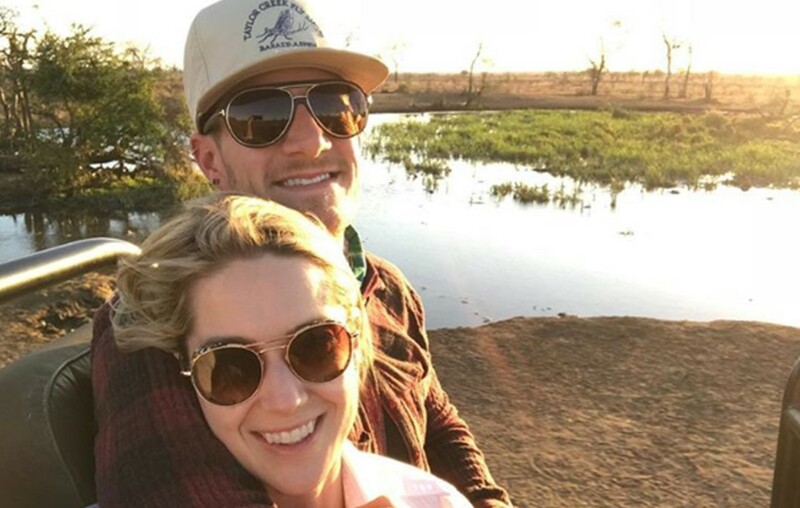 Country music star Tyler Hubbard and wife Hayley recently visited Africa and Tyler came home with a huge elephant tattoo! See it here! Florida Georgia Line star Tyler Hubbard is now rocking a huge African Elephant tattoo on his left arm in honor of the continent he loves and often visits. Not surprisingly, this very detailed ink took twelve hours to complete. “New ink I got while in Africa. I love these unbelievable animals and everything they represent. Thanks @bundutattoo for making this a special piece even if it was the longest session ever for the both of us. #12hourslater #worthit,” Hubbard shared on Instagram. Here’s a video clip of the tattoo from the artist himself, Gareth Putter! The country star and his wife Hayley look to have had a very memorable and meaningful trip mixing humanitarian work with seeing the sights! I love this girl, I love our adventures, I love Africa. Getting to hold day old sweet baby Olivia after her mother told us she would like us to name her baby so she could have something to remember us by 😭is one of my fondest memories. In places like Malawi, many mothers wait weeks or months to name their babies. This was a true honor and such a special moment Thankful for the work @ucsfsoncgh is doing through the #GAIN project to ensure nurses are properly trained and empowered to facilitate safe childbirth for mother and baby in Neno Malawi, a place where mothers have a 1 in 26 lifetime risk of dying in childbirth. As mentioned in the couple’s posts, The University of California San Francisco School of Nursing is leading the GAIN (Global Action in Nursing) Initiative to provide mothers and infants in Malawi safe childbirth. More can be learned about the important push for better healthcare for mothers and babies here. “The GAIN Project aims to lower maternal and infant mortality rates in Malawi. It is designed for sustainability and scalability through our train-the-trainer model. UCSF School of Nursing and its Malawian nursing partners are committed to creating enduring change in the lives of women and their families,” the official website explains. In December, Florida Georgia Line will kick off their five-nights-only residency inside Zappos Theater at Planet Hollywood Resort & Casino with singer-songwriter Canaan Smith and young phenom Mason Ramsey. Fans are invited to join FGL for anything-goes shows on December 1, 5, 7, 8, and 11. The set-list will span their history-making hits and fresh tunes from their upcoming fourth studio album. Tickets can be found here. Share this update with other fans of Tyler and Hayley!